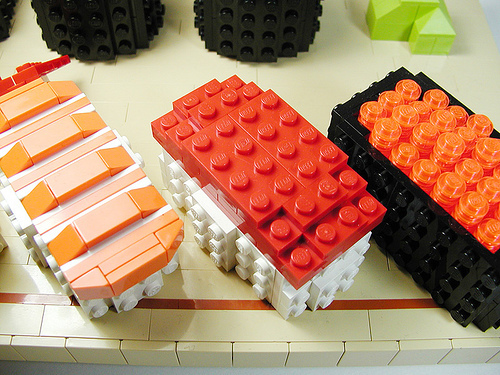 I had the craving for sushi a few nights ago, but never made it out. 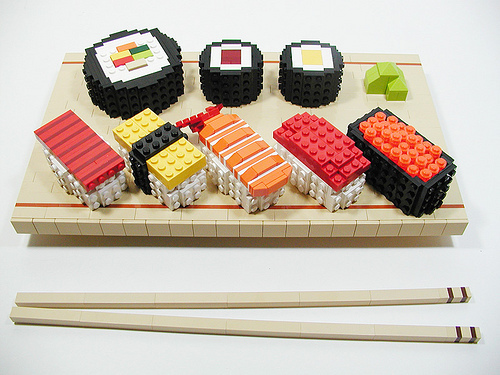 But Mona came to the rescue with her Lego Sushi find. It didn’t satisfy my hunger, but it definitely made me smile. 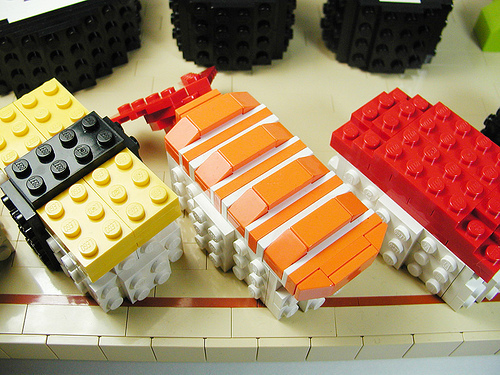 The lego sushi is very well done, and features your popular varieties including different maki, and nigiri rolls. 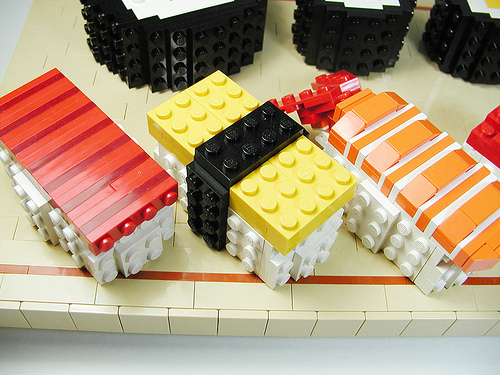 My favorites are the Ebi (shrimp), and the ikura roe. 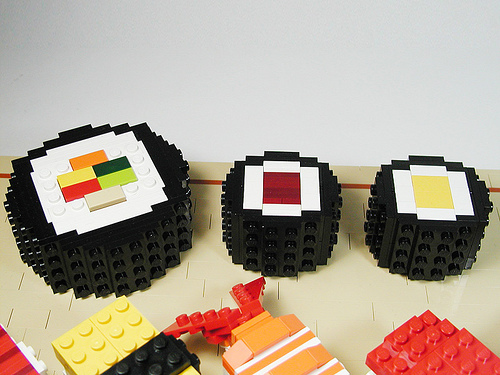 Who would of thought to make sushi out of legos! Nelson’s Flickr stream via Mona’s FriendFeed.